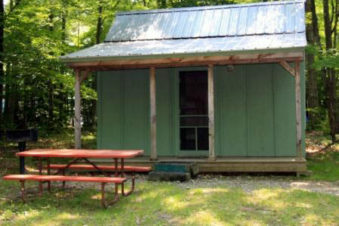 For your Cooperstown Camping experience, a rustic cabin at Meadow-Vale Campsites is a great choice. 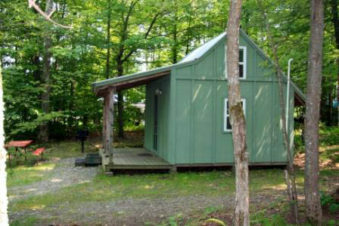 The cabins are nestled in wooded sites overlooking the lake. For outdoor fun there is a fire ring and charcoal grill for making s’mores and biscuit-on-a-stick. A large picnic table is available for dinner or card playing. 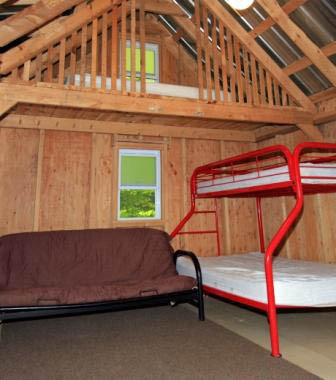 Once inside our cabins, you will notice the unique sleeping lofts on either side above the main room. 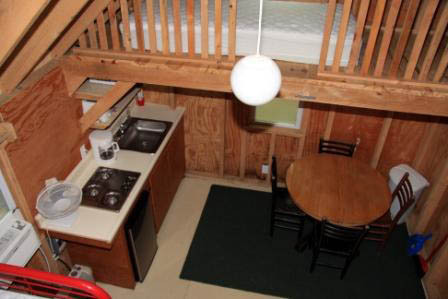 The kitchenette, table and chairs, bunk bed and queen or full-size bed make up the main area of the cabin. 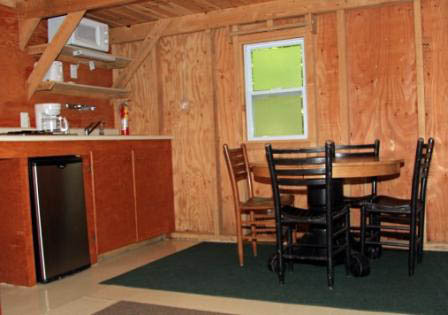 Upstate New York camping is noted for its cool and comfortable nights but an air conditioner and heater are installed for your peace of mind. We provide all the kitchenware you need, including the coffee maker and toaster. Meadow-Vale Campsite’s store offers all the “forgotten” items so you can stay and play instead of running to town. The store building also houses the shower rooms. 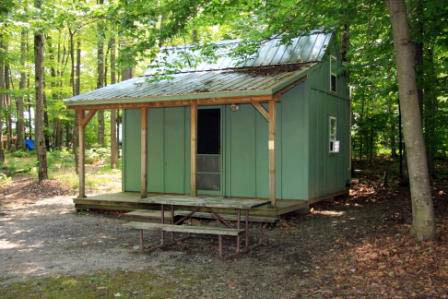 Meadow-Vale Campsite cabins are rented on a nightly or weekly basis with a very flexible calendar. All this fun is for non-smoking humans. No pets are allowed in the cabins. Copyright © 2019 — Meadow-Vale Campsites. All rights reserved. website designed, hosted & maintained by strait web solutions.